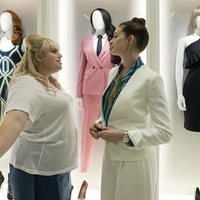 The Hustle' is a comedy directed by Chris Addison. 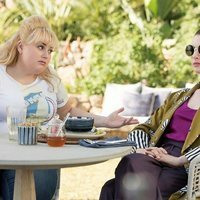 The main characters are Anne Hathaway and Rebel Wilson. The film is a remake from Frank Oz 1988 comedy called 'Dirty Rotten Scoundrels'. The original story count the rivalry against two swindler who decided to come to an agreement: the first who swindle 50.000 dolars from a rich woman will win. The loser have to leave French Blue Coast, where they committed the crimes. Any strategy and method will be valid in this bet. In the original comedy from the 80's, the two swindler was played by Steve Martin and Michael Caine. Jac Schaeffer is the writter of this new remake. Another members of the cast apart from Wilson and Hathaway are Alex Sharp, Francisco Labbe, Ingrid Oliver or Meena Rayann. While this is advertised as a remake of 1988's 'Dirty Rotten Scoundrels' starring Michael Caine, Steve Martin and Glenn Headly, 'Dirty Rotten Scoundrels' is actually a remake of 1964's 'Bedtime Story' starring David Niven, Marlon Brando and Shirley Jones. The film has been filmed in Majorca.